Microsoft app development is all about flexibility, and it’s our supreme strength! Our strongest forte is our ability to help business technologies reach their potential with the help of our out-of-the-box desktop application, web applications, and mobile solutions. At, Siya Infotech Solutions we provide the wide range of Microsoft app development technologies and platforms. It is one of the technologies for creating robust and well-versed web based application. Our Microsoft web developers use the latest tools and technologies to deliver the best user experience which matches your business requirements and objectives. We offer custom ASP.Net web application development solutions that ensure faster growth of your business. We have backed up with a team of expert ASP.Net developers to go an extra mile to provide most prolific Microsoft App Development Solutions. ASP.NET MVC is a powerful, lightweight open source framework that empowers clean separations of components and boosts agile development using latest web standards to build dynamic, fast, and sophisticated web applications and websites. To get the best out of the MVC framework, we have the team of highly experience ASP.NET MVC developers to deliver unmatched MVC software development. Microsoft SharePoint is a Web Application Development Platform for organizations to share, collaborate and quickly retrieve information. It is truly the strategic platform for their portal, content management, and collaboration requirements. At Siya Infotech we offer SharePoint application development services like implementation, customization, enhancements, up gradation, migration, etc. Windows Mobile is Microsoft’s own OS specifically designed for use on window base smartphone devices. At Siya Infotech, we extend to offer exclusive Windows Mobile App Development services. To offer best window app development work, we have a team of dedicated and experienced and windows mobile application developers who can develop apps for all major Windows Mobile platforms. 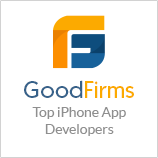 Why Select us for Microsoft App Development? Vast experience of dealing with hundreds of Microsoft web development projects. Array of unique and innovative solutions using Microsoft technologies. Microsoft Development solutions for large, medium, or small scale business. Expertise in Microsoft technologies like SharePoint, ASP.net, MVC and Windows Phone apps. With the advent of Windows 10 that has brought all devices under one single platform, it has been striving enough to be a competent in the market soon. Siya has always been alongside with the changing trends of market, and that has always given us a first mover advantage as well as made us pro in being number one in all kind of expertise under a single roof.